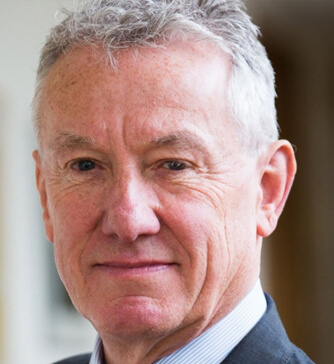 John Cunningham is a clinician-scientist holding positions as Professor of Nephrology at University College London Medical School and The Royal Free Hospital and an Honorary Fellowship at Trinity Hall, University of Cambridge, both in the UK. His early training was in Cambridge (pre-clinical) and Oxford, UK (clinical), with postgraduate training at The University of London and Washington University School of Medicine, St Louis, USA under Drs Louis V Avioli and Eduardo Slatopolsky. He has remained an active frontline clinician in both nephrology and internal medicine. John Cunningham was Physician to HM The Queen and was knighted for services to The Royal Family in June 2014. Academically, Professor Cunningham has contributed to the understanding of the effect of acidosis on the bioactivation of vitamin D and described and characterised hysteresis in the parathyroid response to calcium, indicating that parathyroid cells can sense both the direction of change and the absolute concentration of ECF calcium. He subsequently ran research programmes examining the following: control by structurally modified vitamin D metabolites at PTH synthesis and release; the synthesis and release of bone cytokines by osteoblast like cells and the regulation of these by vitamin D metabolites; the location and relevance of the calcium sensing receptor in bone cells; the influence of simulated uraemia on the release of cytokines by bone cells; the factors mediating bone loss following renal transplantation and preventative strategies; the factors that control parathyroid function in vivo, including new vitamin D metabolites and calcimimetic agents. Professor Cunningham’s group has found that new structurally modified metabolites of vitamin D differ markedly in the way they influence the behaviour of both parathyroid cells and bone cells. His group also devised, conducted and published studies of the first effective prophylaxis against bone loss in the post transplant setting. On these and other subjects, Professor Cunningham frequently lectures nationally and internationally, as well as serving on numerous international expert panels and working groups. He is a founding Co-chairman of the Nephrology At The Limits series held under the auspices of University College London, The University of Cape Town, and The Lancet.